The car is packed, and you’re on the highway heading to the States. But which crossing should you take? 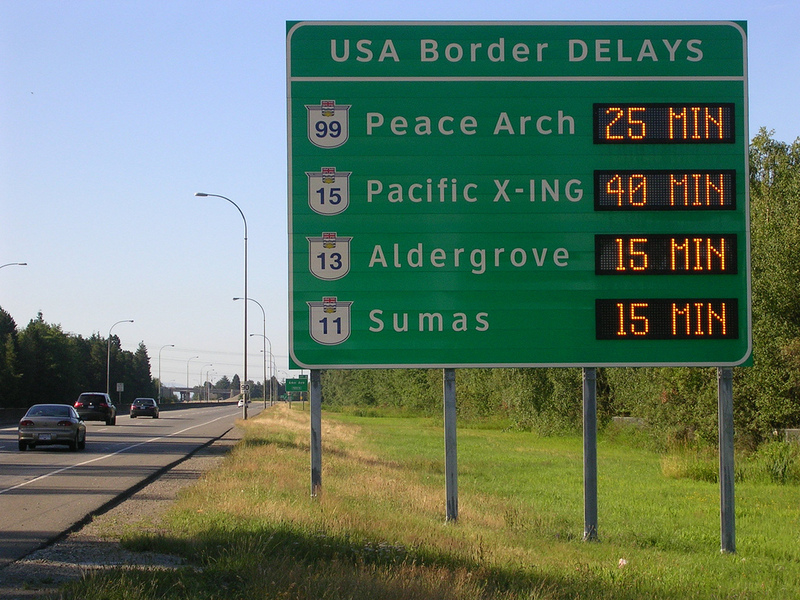 The Peace Arch and Pacific crossings are usually pretty busy, but what about Aldergrove or Sumas? Up till now, it was difficult to know, because delay times weren’t reported for those locations. However, thanks to an expansion of the Advanced Traveller Information System (also known as ATIS), travellers can now keep up to date with wait times at all four crossings. Frequent travellers to the States are probably already familiar with the ATIS, which powers our Canada Border Traffic page. 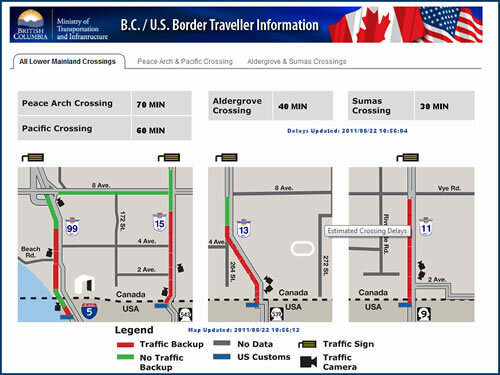 That web page will be expanded to include the Aldergrove and Sumas crossings, and new changeable message signs on Highways 1, 91 and 99 will track the latest border-wait times. This ATIS expansion comes on the heels of several other measures that have been designed to improve border crossings in the past few years, including the NEXUS lanes and more customs inspection booths. It`s great news for travellers, giving them the ability to make more informed choices about which crossing to choose. But it’s also a benefit to the border agencies, too, because it helps to distribute traffic volumes when the crossings are busy. So now that you know how long you`ll be waiting at each crossing, the choice is up to you. You can choose the shorter line and sip a quick coffee while you wait or take the longer line if you want time to catch up on a good book.